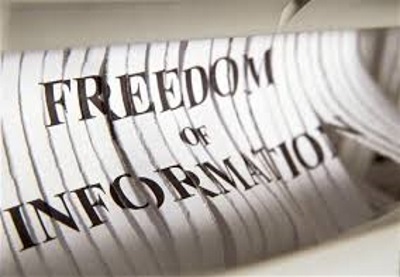 BASSETERRE – The St Kitts and Nevis parliament has given the green light to the Freedom of Information Bill that the government said is intended to usher in a “new level of openness and transparency”. Opposition legislators claim the move to debate the law is nothing more than “window dressing”. The Freedom of Information Bill was first tabled in Parliament in 2015 and during the debate that began on Wednesday, Information Minister and Attorney General Vincent Byron Jr. said the legislation will usher in a new archetype of accountability, good governance, and transparency in the twin island federation. “The bill before the National Assembly …is intended to usher in what is anticipated would be a new level of openness and transparency. In that vein, the enactment of Freedom of Information Law to provide for a regulatory framework for public access to certain information is important at this juncture. “I believe Mr Speaker, that we are well on the way in achieving the government’s legislative goals and that there is undoubtedly an increased emphasis on issues of good governance, transparency, and accountability in recent times in our federation, Byron said. “The enactment, the implementation, and application of the Freedom of Information legislation would mark a new era of openness and greater transparency in our country. It represents a paradigm shift in governance that would better ensure that citizens of St Kitts and Nevis can more effectively enjoy the right to access information,” he told legislators. Byron said that the Freedom of Information legislation will help in the fight against corruption and engender public participation in the national decision-making process. The Attorney General noted that the legislation may not take effect immediately after its passage as more amendments may be required to streamline the legislation. In his contribution, Prime Minister Dr Timothy Harris said it was indicative that the bill had come before the Parliament on World Press Freedom Day on Wednesday, as it would give journalists and the wider society more access to public information. “What better way to express our support for media freedom than to come in the hallowed chambers of the national assembly to enhance their access to public information. “This is a good deed because we have nothing to hide and we have come to this parliament to make official information more freely available and to provide for the proper access by each person to official information that is what we are doing. We are moving the country forward and upward to a better place than we inherited it. But Opposition Leader Dr Denzil Douglas dismissed the government’s intention, as he questioned the administration’s seriousness in implementing the bill. “And so, one wonders again seriousness on the part of this government to ever implement this piece of legislation that is being presented to us here. Again, part of the window dressing, debating in it in this Parliament on non-other day than International Press Freedom Day. “Which is a mockery, which has always been practised by this government. Then there has been the concern Mr Speaker that has been raised with regard to – it would appear, yes, you have access and information should come in a relatively short period of time because it is important to have information that is being sought. “But then you see an amendment that moves the time of waiting for the information to be gleaned from 48 hours to seven days. This kind of tampering with what is being given by pulling it back it’s not going to help us, and so moving the goalposts from 48 hours,” Douglas said, adding that “it raises suspicions in one’s mind as to whether it is not a tool of frustration that is being used by the executive in bringing to the citizens of this country their right to access information. “But again as I said given the nature of this administration it would appear they are just simply paying lip-service, and one, therefore, is forced to question the integrity and the real intention of the administration in making these changes to the legislation that was intended some three years ago,” the former prime minister said. His colleague, Konris Maynard said he remains doubtful that the legislation will be enacted prior to next general election. “We believe that the government didn’t want this to happen before the next election. I don’t believe that, and that is why it is so important to appreciate that we could have been having this debate in February of 2016,” he said questioning whether the government wanted “a whistleblower on unauthorised use of public funds, or corruption and dishonesty, or serious maladministration? “That is why I say to the general public and to this House that under no circumstance will this bit of legislation becomes active before the next general election. Will not happen! Can’t happen. Just like we have legislation already for ‘Integrity in Public life’ already there just waiting for the minister to say activate, but they’re not going to want to do that Mr. Speaker.